Blog for the Precious Furs Pet Resort, a home away from home for pets. So here at Precious Furs we had a great 2012 and are really looking forward to an exceptional 2013. Since our last post, quite a few things have happened here. We welcomed two new furry family members this year. Owen (the bigger one) and Ada are french bulldogs and the funniest pups around. They are fitting in just wonderfully with our playgroups. We have almost finished our cold kennel renovations. Just a little paint on the ceilings and we will be in good shape. The epoxy coated floors and wall have made a huge difference in the brightness of the room. We are currently working with an 8 person staff. Lynn -our owner and fearless leader :) Tracy -our office manager Danielle -our kennel manager Nicole -our bather / brusher and our kennel workers -Jess, Joanie, Cassie, and Ben (you can also catch Jess and Cassie working the desk on weekends) We are very excited about the year to come! 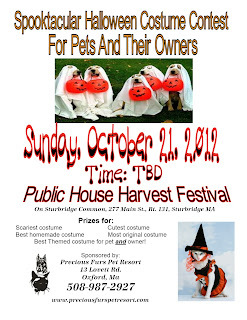 The times have been set by The Publick House. 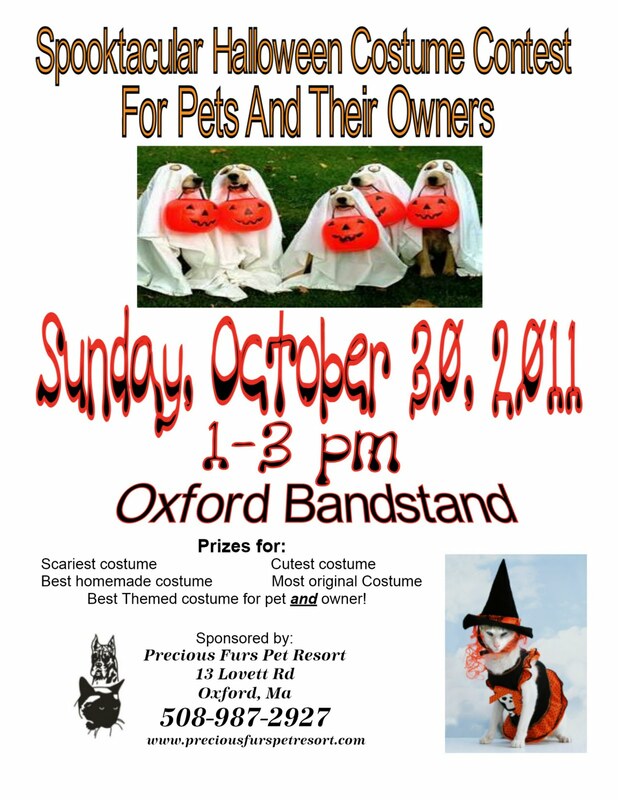 We will be lining up at Noon and prizes will be awarded at 1pm. We will also have a booth set up both days of the Fall Festival with information, games and prizes for the kids, and super sale items! We are at it again! 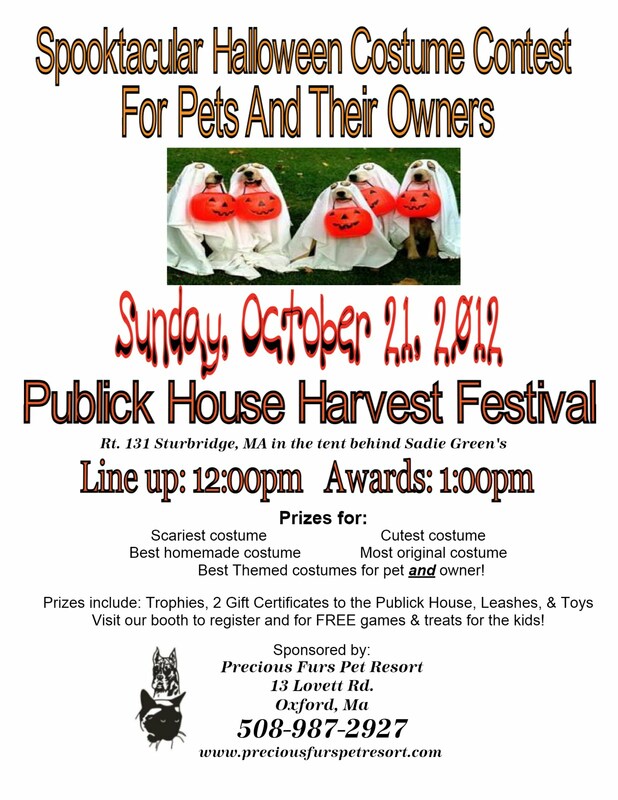 This year we will be hosting our 2nd annual "Spooktacular Pet Parade" at the 23rd Annual Publick House Harvest Festival in Sturbridge. 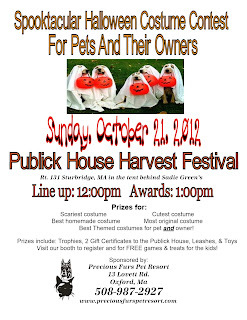 We are working with the publick House to determine the best time, but we wanted to give everyone time to get those creative juices flowing and come up with some great new costume ideas for your pets. More infomation to come. 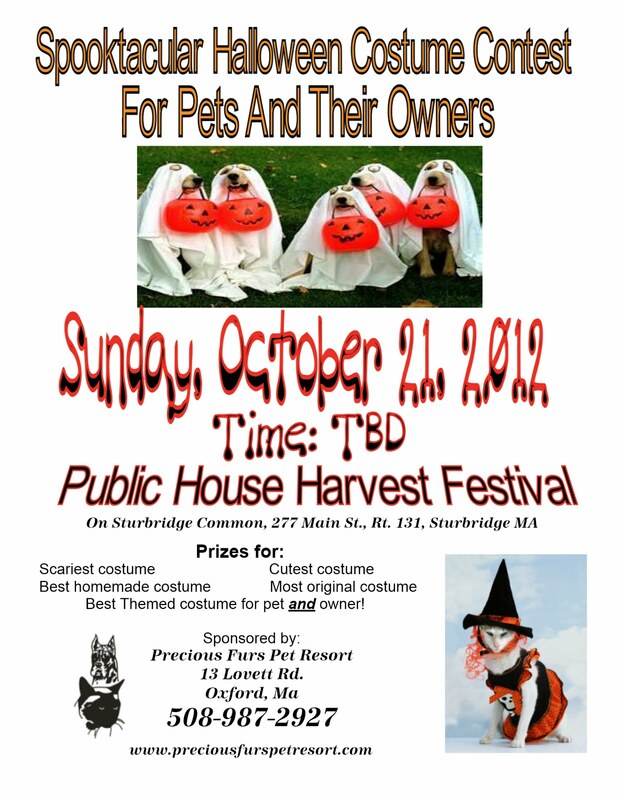 Remember to like us on Facebook and follow us on Twitter for the most up to the minutes information on all things pet! 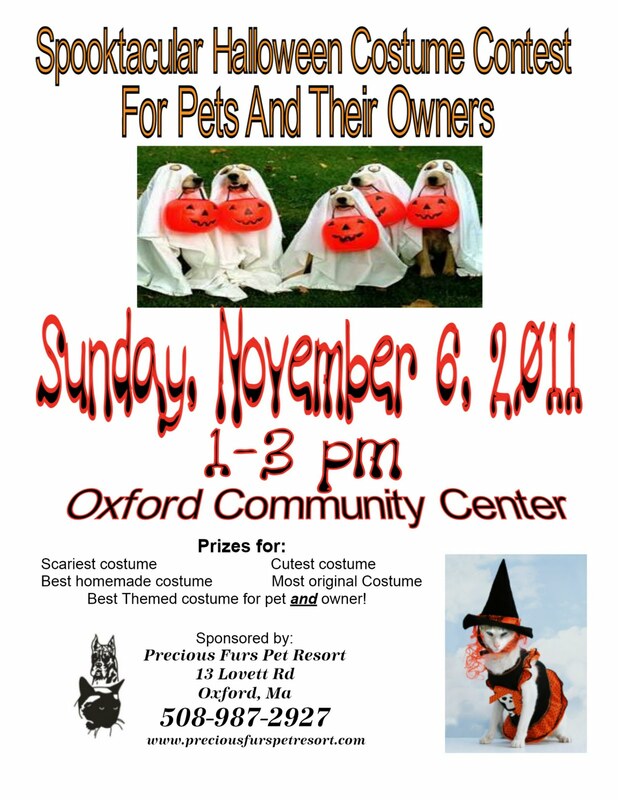 Our "Spooktacular Pet Parade" has been moved to the Oxford Community Center located at 4 Maple Road, just off Main Street in Oxford. The time is still 1pm-3pm. We hope to see everyone come out!